As the cost of living keeps getting higher, many people are seeing car leasing in an altogether new light. Rather than a rental contract that sales reps and corporate drivers enter into, it's becoming a far more viable option for private motorists wanting to drive around in a brand new, expensive vehicle, without the long term commitment of car ownership. But there can be extra costs lurking in any contract and it's important that you read and understand the small print before making a decision. Why would I want to lease a car rather than buy? Depreciation is the single biggest cost of car ownership in the current market. Cars are one of the only things that many people invest in, despite knowing it will lose a large percentage of its value in the next few years. Most of the depreciation happens in the first 3-4 years, and once this period is up, if you've entered into an HP contract to buy your car, you might find out that it is actually worth less than the amount you still have left to fork out in monthly repayments! A lot of motorists lease cars because as you are effectively renting the car, you can usually have a much better model and specification for the same amount that you'd make in monthly payments if you were actually purchasing the vehicle - of course, you do have to give the car back (unless you have a 'right to purchase' option) when the leasing period comes to an end, so you do need to do your homework and your sums before coming to a decision. So do I lease it from the Car Dealership? No. What happens is that the car dealer sells the car to a leasing company who will lease it out to you under the terms and conditions of your lease, agreed by you and the dealer. It's very much like renting a car, although your rental payments will be made up of monthly instalments which include an interest rate which protect the dealer from the depreciation hit when they get the car back at the end of your lease term. What factors are included in working out the payments? There are several, including how long you want the car for (a usual lease period is 3 years, but you can get them for longer and shorter terms, depending on your requirement and what the dealer is willing to offer), the cost of the car, how much it is likely to be worth at the end of the lease term (referred to as ‘residual value’), and the interest rate. There may also be other factors, such as a 'right to purchase' option along with an agreed price, which you will need to identify and consider very carefully before entering into any agreements. A certain amount of mileage is covered in your payments. Any extra miles covered will need to be paid for, and this is where a lot of leasing companies make their money – by making excess mileage very, very expensive. Make sure you have a realistic idea of how many miles you are likely to cover. If you’re not happy with the suggested residual value that the car will have at the end of the term, then speak up when you are agreeing terms or it will be too late. If it seems high, haggle. It’s unlikely the dealer will lose the deal over a few pounds. Make sure you understand what is covered in wear, tear and damage clauses or you could end up paying out more than you expect. Always make sure you know what is covered in any maintenance contract you include in the deal. Find out how much the dreaded ‘Admin fees’ are going to be, and make sure you aren’t charged any more than agreed. There are two main types of car lease - open-end and closed-end. Open end car leases are generally chosen by corporate clients. What happens here is that the expected residual value of the car is agreed at the start of the lease and is then compared to the actual market value (how much you can actually sell the car for) when the lease term ends. You will pay any difference, which could be nothing or thousands, depending on market trends and the current economy. 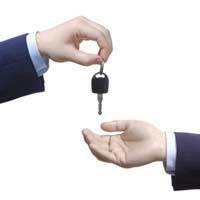 Closed-End leases allow you to return the car to the dealer at the end of the lease term and walk away. You may have included an option in your lease to purchase the vehicle for a final fee. This fee is the pre-agreed residual value (agreed at the beginning of the lease term) and an administration or processing fee. If you want to buy the car, you make this payment and the car is yours to keep. Alternatively, you can hand the car back and walk away with your commitment ended - as long as there are no outstanding charges as mentioned above.